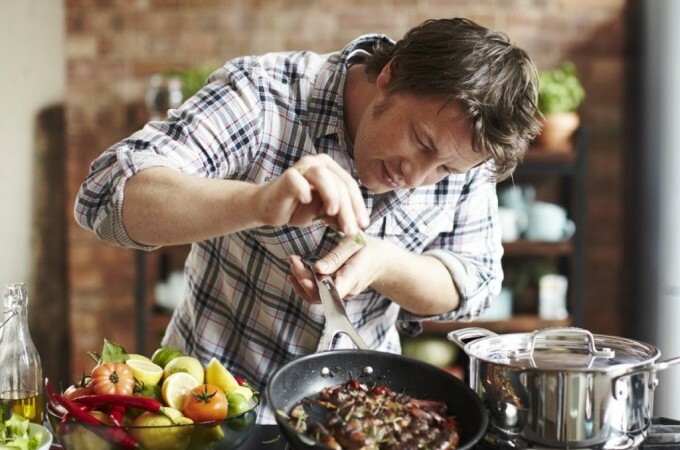 This week we pay homage to one of England’s finest: chef, restaurateur and activist Jamie Oliver. Jamie started out in the fabled kitchens of London’s Riverside Cafe before achieving TV and cookbook fame as the Naked Chef. He is now known around the world for his food-focused television shows, cookbooks and more recently his global campaign for better food literacy, and real food in school cafeterias. This selection of his delicious recipes, with a focus on what is in season, is straightforward as well as extremely tasty. Enjoy your week! And if you are unfamiliar with Jamie Oliver, here is a video of his Ted talk in 2010.